Lane Departure Prevention must be switched on at the start of each journey. However, even without LDP switched on, the driver will still be given the audible and visual warnings for an unintended lane departure; in addition to the warnings, activation of the corrective braking action of LDP requires a positive ‘on’ action on the part of the driver. 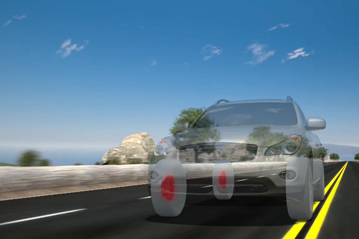 LDP relies on the presence of lane markers and clear conditions. If there are no lane markers, or the system is not able to recognise the lines (e.g. unusual markings in road works), the system will not function effectively. While Infiniti have ensured that the system recognises the lane in the great majority of cases, the system will not function if the lane markers are indistinct because of snow, heavy rain or mud. Lane Departure Prevention is intended to work on highways, not around town. Therefore, the system works on roads only which are straight or very nearly straight.